There are many occasions when people donate goods or volunteer their time for non-profit organizations. You can use these donations as deductions on your taxes with the following requirements in mind. The basic rule is that you may only deduct the item’s “fair market value” at the time of the donation. IRS describes fair market value as the amount that a “willing buyer would pay and a willing seller would accept for the property, when neither party is compelled to buy or sell, and both parties have reasonable knowledge of the relevant facts.” Check out Turbo Tax’s “It’s Deductible” which helps estimate fair market value of a good based on its characteristics. 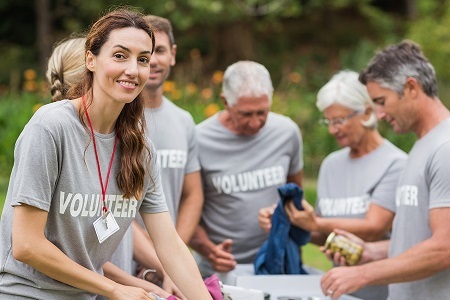 When it comes to volunteering time to a non-profit organization, you may deduct all travel expenses you incur that is directly related to volunteering.